He has a great attitude this colt. He has good bone for bulk, he moves freely and has a real personality. An unbeaten Golden Slipper winning Champion two-year-old Vancouver has all the credentials to become a super sire. The highest rated two-year-old of his generation Vancouver kicked off his career taking out the Breeders' Plate in fine fashion. He then went on to win the Group Three Canonbury Stakes and the Group Two Todman Stakes on his flawless path to the Golden Slipper. He culminated his career as a two-year-old with an impressive victory in the Golden Slipper, the world's richest two-year-old race and the race that continues to shape the Australian breeding and racing industry like no other. With his progeny proving to be well received and very popular in the ring we are delighted to have secured this incredibly sharp looking colt. 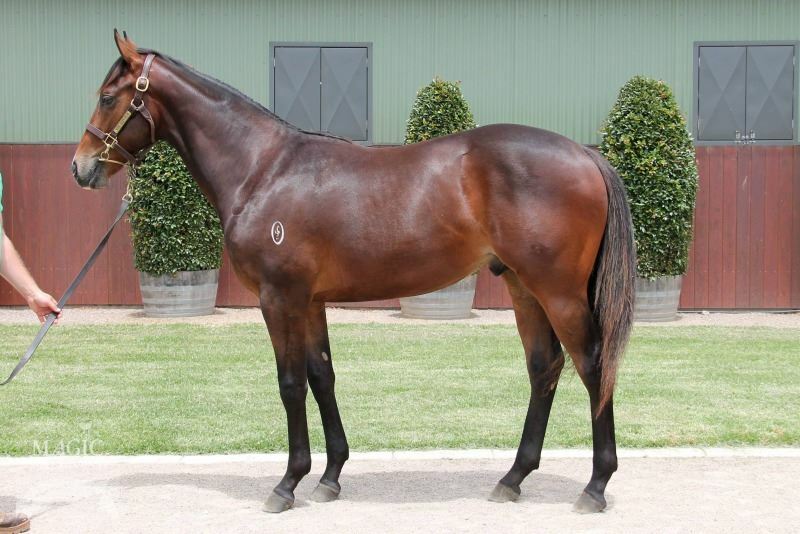 This colt is out the two-year-old stakes placed and dual winning mare Light Touch. A half-sister to seven winners, Light Touch is out of an extremely well related mare in Exhibit, who herself is a half-sister to Group One Winner Bonaria and two-year-old Group Three winners Time Out and Legally Bay. 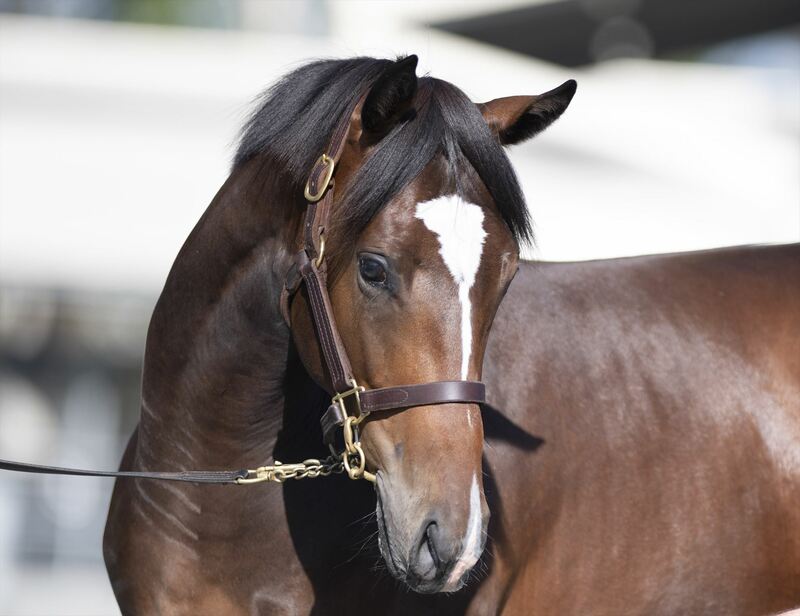 Hailing from the family of unbeaten two-year-old and dual Group One winning sprinter Merchant Navy this colt has speed written all over his page and coming through in every generation. Winners of a Myer Classic, Coolmore Stud Stakes and Roman Consul Stakes to name just a few, all feature on this colt's tremendous page. 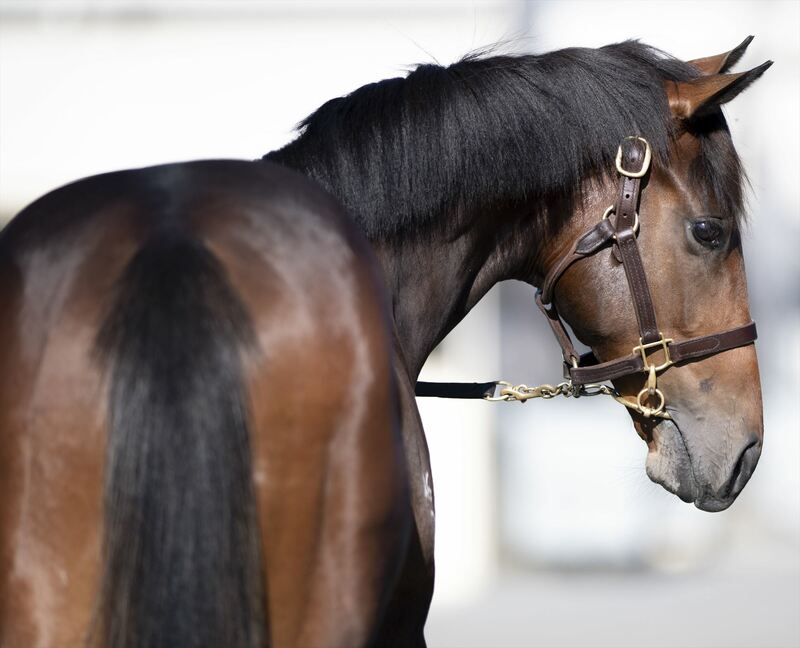 VANCOUVER (AUS) (Bay 2012-Stud Aust. 2016, U.S.A. 2017). Champion 2YO Colt in Australia in 2014-15. 4 wins at 2, A$2,368,250, ATC Golden Slipper S., Gr.1, Todman S., Gr.2, Canonbury S., Gr.3, Breeders' P., L, 4th ATC San Domenico S., Gr.3. Half-brother to SW Juste Momente (SAJC Robert Sangster S., Gr.1), SW Captain Coltish (VRC Chubb S., L) and the dam of SP Newlands. Out of SP Skates. Grandson of SW Skating. His oldest progeny are yearlings. Light Touch, by Charge Forward. 2 wins at 1000m, 1100m, A$80,115, 2d SAJC Dequetteville S., L, MRC Jack Elliott 2YO H., SAJC Pewsey Vale H., 3d VRC Better Beyond 2YO P., Long Tan H. This is her third foal. Her second foal is a 2YO. Dam of 1 foal to race. Light Touch (f Charge Forward) 2 wins. See above. Capitulate. 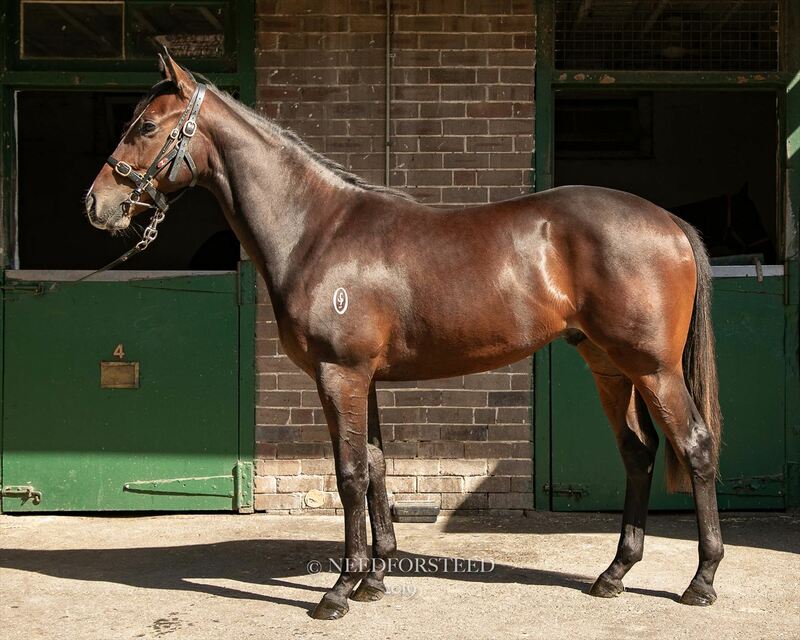 Winner at 1350m in 2018-19, Ipswich TC Buy a Bale H., 2d BRC CBUS P.
First Approval - Superpower (H.K.). 2 wins-1 at 2-at 1300m, 1400m, A$83,075, 2d ATC Theraces H., MRC Moorookyle Park Thoroughbred Stud H., 3d ATC TAB Rewards H.
Gagosian. 2 wins at 1200m, 1400m, 3d Albury Guineas. Bitofastar. 2 wins at 1000m in 2017-18 in Aust. River Fire. 2 wins at 1400m to 2017-18, BRC Giddy Up Club H., 3d BRC Amgrow P., SCTC Skyharness H.
BONARIA (f Redoute's Choice) 8 wins-1 at 2-from 1100m to 1600m, A$951,319, VRC Myer Classic, Gr.1, Schweppervescence Trophy, Gr.3-twice, MRC Mannerism S., Gr.3, VRC Lort Smith Animal Hospital H., MRC Sportingbet H., The Age H., 2d VRC Blazer S., Gr.2, MRC Geoffrey Bellmaine S., Gr.3, Ladies Day Vase, Gr.3, 3d MRC Geoffrey Bellmaine S., Gr.3, Vintage Photobooth H., VRC Peter Rowland Catering H., MRC Responsible Gambling Awareness Week H., Race-Tech 2YO H., 4th VRC Let's Elope S., Gr.2-3 times, MVRC Sunline S., Gr.2, MRC WW Cockram S., Gr.3, Summoned S., Gr.3. 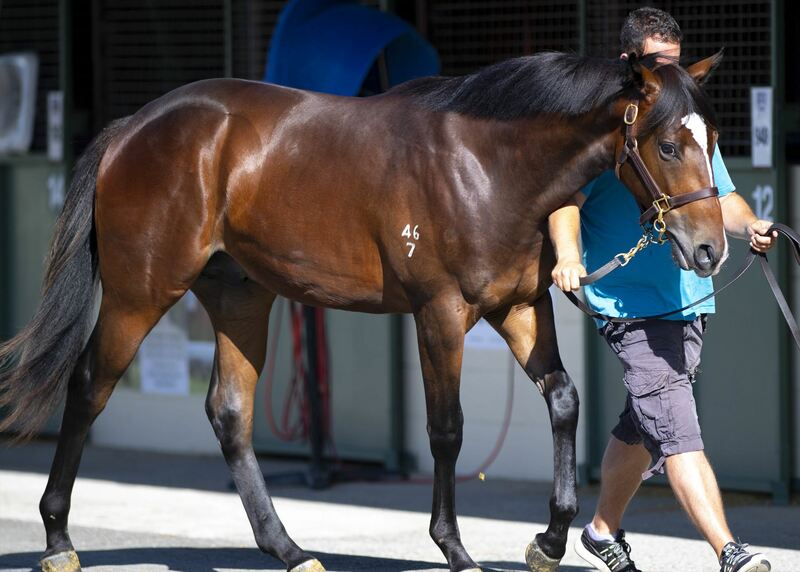 TIME OUT (g Rory's Jester) 6 wins-3 at 2-to 1200m, A$240,700, M$593,550 in Aust. and Macau, Illawarra 2YO Classic, Gr.3, NSW Tatt's RC Carrington S., Cabravale Diggers Members' H., AJC Doyles Seafood 2YO H., 2d AJC Brian Crowley S., L, Razor Sharp H., L, National Telecoms Group H., 3d STC Heritage S., L.
MERCHANT NAVY (c Fastnet Rock) 7 wins-3 at 2-at 1200m, 1400m, £340,260, €70,800, A$939,950, to 2018, VRC Coolmore Stud S., Gr.1, Royal Ascot Diamond Jubilee S., Gr.1, Curragh Greenlands S., Gr.2, MRC HDF McNeil S., Gr.3, VRC Anzac Day S., L, MRC Nick Johnstone Real Estate 2YO H., 3d VRC Newmarket H., Gr.1, MRC Rubiton S., Gr.2. JOLIE BAY (f Fastnet Rock) 2 wins at 1000m, 1200m, A$236,530, ATC Roman Consul S., Gr.2, 2d VRC Coolmore Stud S., Gr.1, ATC Brian Crowley S., L. Producer. Zara Bay (f Fastnet Rock) 2 wins at 1100m, 1200m, A$135,722, ATC Tab.com.au P., MRC Dreamthoroughbreds.com.au H., 2d Geelong RC Rosemont Stud S., L, ATC McGrath Estate Agents H., More Than Ready at Vinery P., MVRC Zouki H., 3d ATC Theraces H., Hyland Race Colours H., Cellarbrations 2YO P.
TESSERA (g Medaglia d'Oro) 2 wins at 2, A$274,550, ATC Canonbury S., Gr.3, Agribaba & Aunong.com 2YO P., 2d VRC Starlight Express Room S., L, ATC Schweppervescence H., 3d Gold Coast Guineas, Gr.3, ATC Summer Racing H., 4th ATC Todman S., Gr.2. MONTSEGUR (f New Approach) 2 wins at 2, A$263,375, VRC Thoroughbred Breeders S., Gr.3, MRC Joe Brown 2YO P., 2d MRC Blue Diamond Prelude (f), Gr.3, 3d ATC Silver Shadow S., Gr.2, 4th MRC Thousand Guineas Prelude, Gr.2.